7 January 2019. 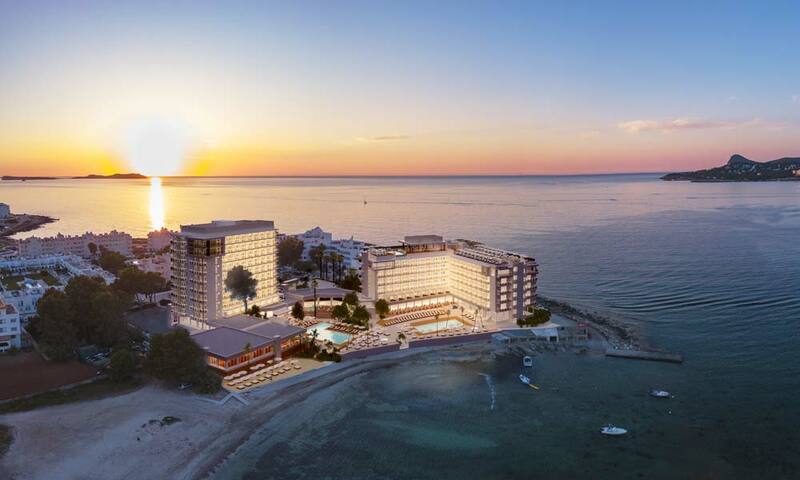 In just over 2 years since Amàre Beach Hotel Marbella opened in 2016, the Amàre has achieved consolidation in the domestic and international tourism sectors as a benchmark for top quality design, cuisine, service and leisure. For this reason the brand, which specialises in the segment of hotels recommended for adults, has decided to embark on its expansion. The chosen location is the island of Ibiza, a perfect destination for lovers of the sea. 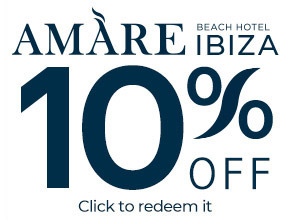 In the words of José Luque García, CEO of Fuerte Group Hotels, “Amàre is a very cosmopolitan brand that fits very well into world-renowned destinations such as Marbella, and soon Ibiza. 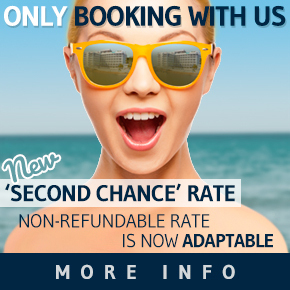 Another of its unique attributes is that it is committed to sensorial tourism, based on offering unique experiences that pamper the senses with elegant and sophisticated designs; with delicious culinary creations by Michelin starred chefs; with signature cocktails; with aromas that envelop guests, creating magical memories, and with unforgettable beauty treatments, among many other proposals”. 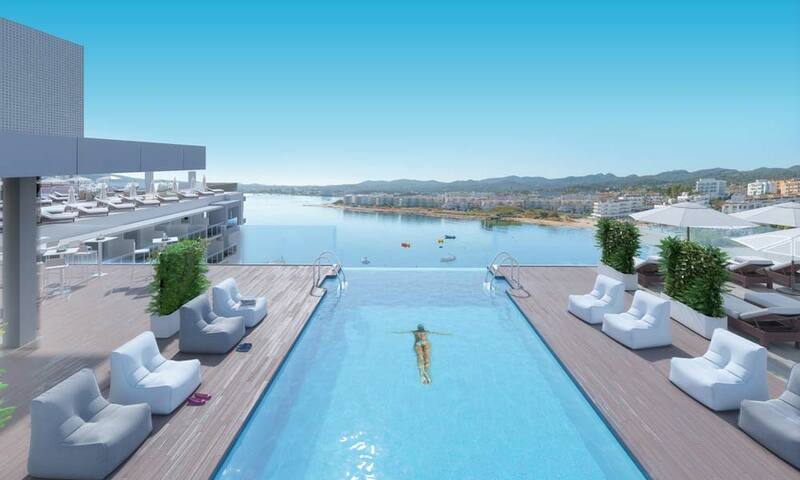 The new Amàre Beach Hotel Ibiza is located right on the seafront, in a privileged corner of Cala de Bou (Sant Josep de Sa Talaia) which affords spectacular views of San Antonio Bay. There is also a jetty right next to the hotel, over 80% of its 366 rooms have sea views, and guests can enjoy amazing sunsets from the Belvue rooftop bar, either while sipping a signature cocktail created by the well-known bartender Diego Cabrera or while immersed in the waters of its spectacular infinity pool. Guests at Amàre hotels also share a love for cuisine, professional leisure and entertainment with an arty touch. 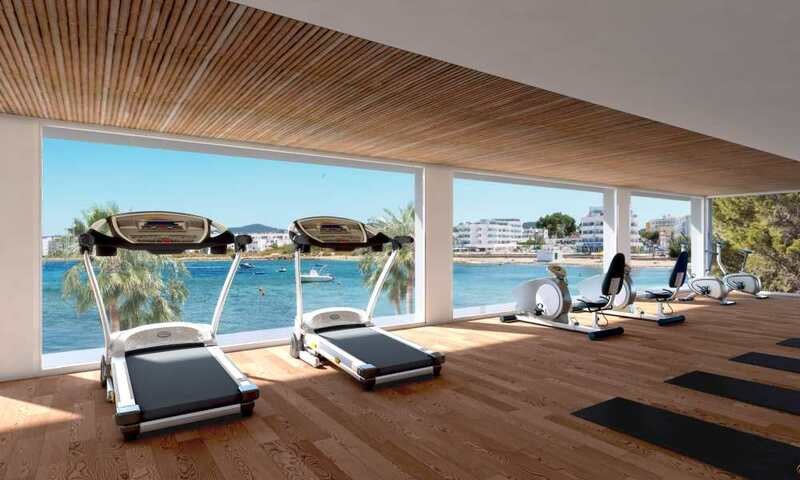 This has mainly been implemented in two spaces at Amàre Beach Hotel Ibiza. Amáre Club, which is the establishment’s social centre and is in turn distributed in 3 areas (Amàre Lounge, Amàre Pool and Amàre Beach) used for resting, sunbathing on sophisticated sunbeds, eating or taking a dip in the sea or in one of its 2 swimming pools; and the ‘rooftop’ where, in addition to enjoying unforgettable views, it’s possible to sample the exquisite cuisine that Michelin starred chef Mauricio Giovanini and his team serve up on the Hayaca terrace. In both spaces, during the day and in the evening pleasant background music alternates with life music shows and sets by well-known DJ’s. 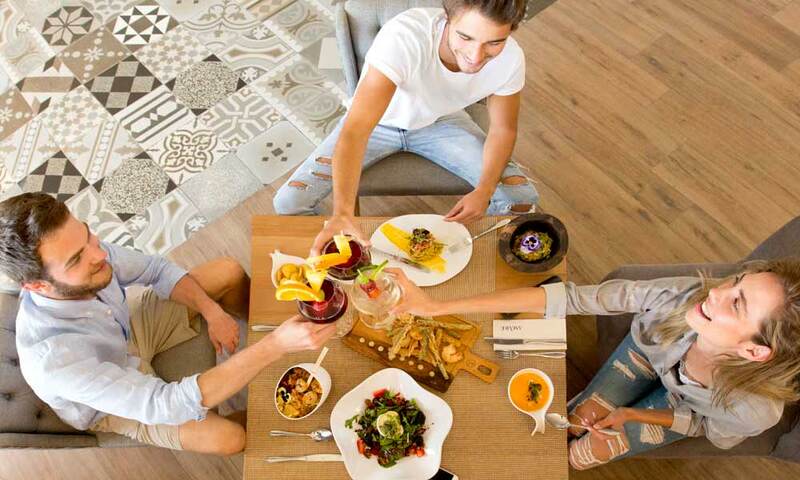 Couples and groups of friends who choose Amàre hotels appreciate a healthy lifestyle. Amàre Beach Hotel Ibiza has taken this into account at its Mare Nostrum buffet restaurant, which is committed to high quality local products; it was also a consideration when selecting its range of supplementary services with the inclusion of its well-appointed Amàre Fitness by Technogym, open 24 hours per day with wonderful sea views; Wellness by Germaine de Capuccini and a range of different activities such as yoga, bike rides, jet skis and diving, among others.